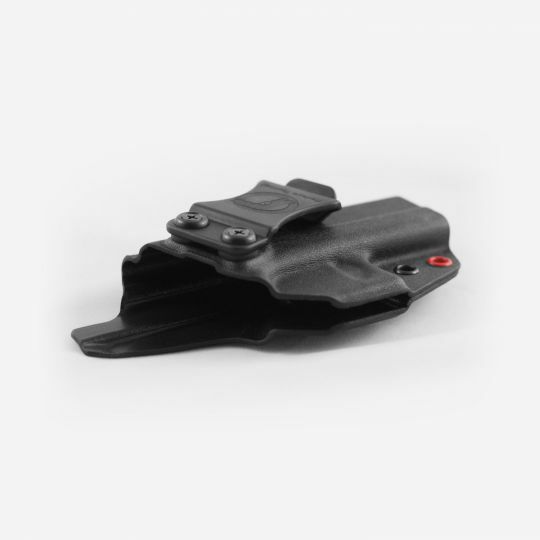 The Shielder series kydex holsters are a perfect choice to wear from the 2 o'Clock to the 5 o'Clock position and feature a 15 degree cant standard. Redeye Tactical sets itself apart beginning at its roots. Started by a first responder, its functionality requirements were born in the field and forged by years of experience. The Shielder series are mission ready out of the box and easily identified by its one red eyelet. This holster line is comfortable, concealable and practical.